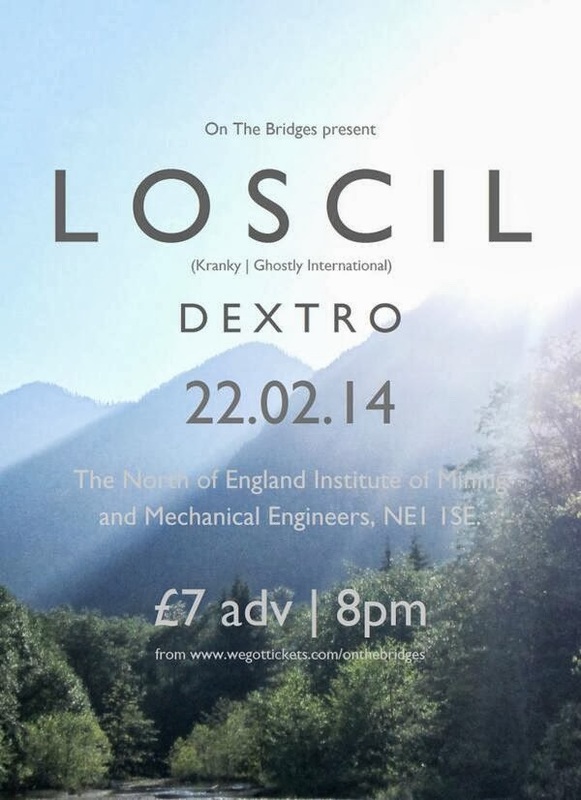 I wasn't overly familiar with Canadian ambient artist Loscil - nor indeed Scottish support Dextro - prior to entering Newcastle's Mining Institute, but in seeking a way to spend my Saturday night, their appearance turned into a fine whim. Housed in the magnificent building's dimly lit auditorium, this gig was as much about your eyes as it was your ears, with audience members offered the choice of appreciating the technical mastery before them, soaking up the prominent and provocative visual accompaniments or simply drifting off, allowing themselves to be swathed in a sea of sonic wonderment. The middle approach was perhaps preferable for Dextro, whose diverse and compelling set took place before a backdrop of high definition images perfectly depicting its coulourful, nature-themed aura. Maintaining this scenic analogy, Ewan Mackenzie's showing felt almost akin to climbing and descending from a mountain; the peak occurring midway when he switched expertly from pads and knobs to shattering live percussion. Loscil's performance, meanwhile, gave off a far more icy air - and not just due to the visions of floating icebergs and crumbling glaciers it was set against. A largely drone-based affair, Scott Morgan's sounds were infused with a tension and moodiness which proved riveting from the off, their rich textural vigour fashioning a thick cloud of fog which only added to the prevailing auditory mass. With razor-sharp keys cutting through, this was nevertheless far from an impenetrable dirge, and in truth could have entranced its crowd well beyond the allotted 45-minute slot. Having witnessed a pair of fabulous and truly engrossing ambient exhibits, though, it's not like there were any real quibbles to be had, and despite entering uninitiated it's fair to say that in the case of each artist I left a firm convert.